A liquid facelift, also known as cheek augmentation, is the injection of temporary fillers (hyaluronic acid) to enhance the volume of the cheek soft tissues. These fillers can last from 6 months to 2 years. Trust your liquid facelift procedure to the best-reviewed plastic surgeon in Pittsburgh, PA.
A liquid facelift is performed under local anesthesia at the office. The procedure can be done in 30 minutes to an hour. 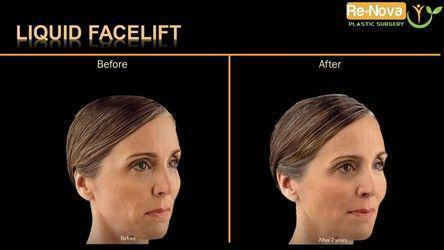 Searching for Liquid face Lift near Pittsburgh, PA or Wexford, PA? Dr. Clavijo at ReNova Plastic Surgery uses FDA approved dermal fillers to recover a youthful look of your cheeks. The average price of Liquid face lift near Pittsburgh, PA ranges from $800 to $2,400. Patients who have a sunken appearance due to aging can benefit from a liquid facelift, a non-surgical injectable treatment offered at ReNova Plastic Surgery. 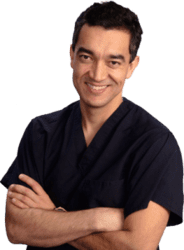 Dr. Julio Clavijo-Alvarez uses a hyaluronic acid-based dermal filler to restore volume to your cheeks and contour your face, creating an attractive and youthful look. This procedure takes about an hour and patients typically recover in two to three days. What is a Cheek Augmentation? 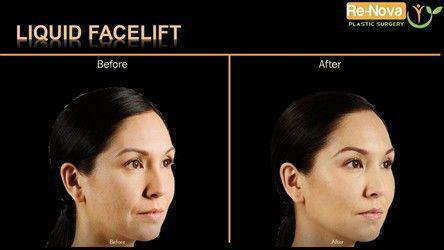 Liquid facelift, also known as cheek augmentation, is the injection of temporary fillers (hyaluronic acid) to enhance the volume of the cheek soft tissues. How and where is your procedure done? The procedure is done in our ReNova Medical Spa. No anesthesia is needed. The duration of the procedure is about 45 minutes to an hour. Can I plan on doing dermal fillers to my face 1 week prior to my 25th-year reunion? Definitively NOT. It is a very well tolerated procedure. However, it might leave bruising and swelling that will be present for 1 or 2 weeks. Plan ahead if you are planning on this procedure. What complications could occur after my injectable fillers? The typical cost for Procedure near Pittsburgh, Pennsylvania ranges from $500 - $5,200.